ROCKPORT — In the weeks immediately after Hurricane Harvey, thousands of Texans lingered in emergency shelters, small coastal communities scrambled to restore electricity and entire neighborhoods sat swamped with moldy mounds of housing innards. As more than half a million families sought disaster relief aid and damage estimates surpassed the $100 billion mark, the Federal Emergency Management Agency worried that it didn’t have the capability to handle what was quickly becoming the largest housing recovery effort in American history, according to Gov. Greg Abbott’s office. So Abbott tasked the state’s General Land Office with a job that typically falls to FEMA: running short-term housing programs for Harvey victims. That undertaking includes everything from lining up contractors for minor repairs to securing trailers for displaced families. 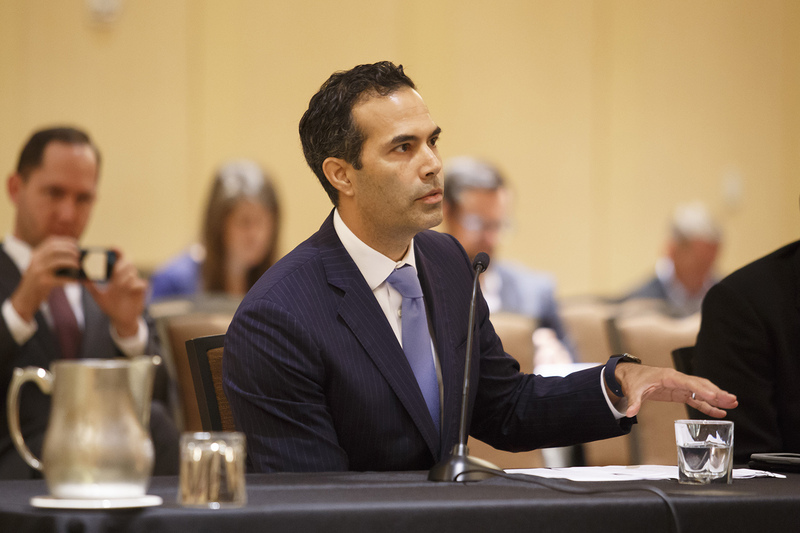 Abbott, Texas Land Commissioner George P. Bush and FEMA officials touted the unprecedented arrangement as a way to rewrite the nation’s disaster response playbook. “We are energized by the opportunity,” Bush told lawmakers in October. But six months after Harvey slammed the Texas coast as a Category 4 hurricane and dropped historic rainfall on large swaths of the state, that initial public optimism has crashed against the reality of trying to re-engineer an already-byzantine process of getting disaster aid to hurricane survivors. More than 890,000 families sought federal disaster aid in the three months after Harvey hit — including more than 40,000 who needed short-term housing help. Yet more than 100 days after Harvey’s landfall, the General Land Office had provided short-term housing to fewer than 900 families. And by the time the GLO contacted more than 33,000 families for the short-term housing help they sought, those Texans had made other arrangements. Many officials fear an untold number of people are living in moldy, unrepaired homes. The new process was delayed from the beginning: Abbott didn’t tell Bush’s office about the plan until 19 days after the storm’s Aug. 25 landfall — and one day before the governor and FEMA officials publicly unveiled it. Federal records suggest that state officials almost immediately had concerns that hiring and training the necessary personnel would require additional time. “The program probably didn’t get started as quickly as any of us would have liked, but it is new,” FEMA coordinating officer Kevin Hannes told The Texas Tribune. Six months after Harvey caused an estimated $200 billion in damage, more than 8,000 Texans remain in hotel rooms and another 2,000 households have received temporary housing, such as mobile homes and trailers. About 5,000 families are getting basic emergency repairs done to their homes through the GLO, while 30,000 others await such work to be complete. Lawmakers grilled Bush about the short-term housing programs at a hearing in Corpus Christi days before Christmas. He pointed to five chokepoints he said his office and FEMA were working to overcome. But he also portrayed their efforts as a learning process that will have long-term benefits. 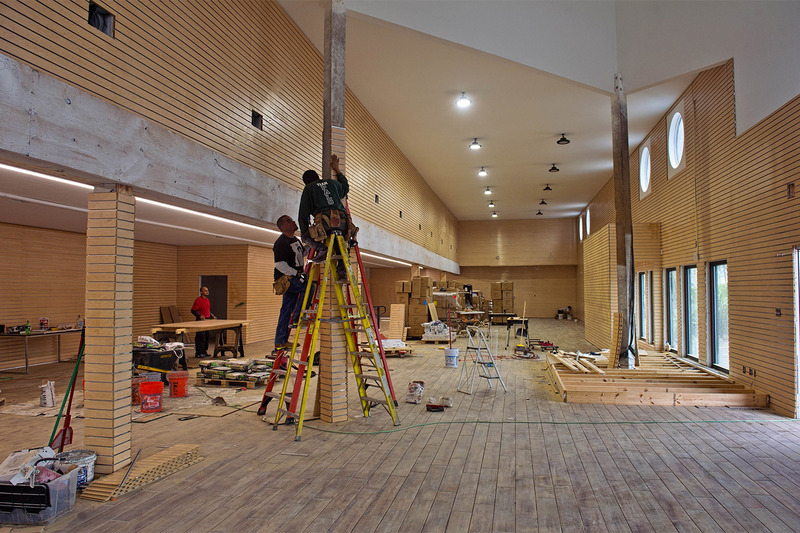 “We think we’ll have a model for temporary housing for the next storm,” he said. That brought little comfort to officials in the coastal towns still scrambling to rebuild hotels and reopen damaged businesses in time for the tourism season that can make or break local economies. “That’s important, but that puts my citizens as the guinea pigs,” Wax said. Port Aransas Mayor Charles Bujan estimates that his town, where up to 85 percent of the homes and virtually every business sustained Harvey damage, is probably about 40 percent of the way through its recovery. With spring break just weeks away, the anxiety is growing in Bujan’s town. As state and federal officials struggle to get ahead of the massive task in front of them, spontaneous networks of neighbors and charities have stepped in, buoying displaced Texans struggling not to get lost amid the collision of Mother Nature and American bureaucracy. In Rockport, a frigid December rain thumped tarps, tents and trailers scattered across a wooded 3.5 acres of land just off Farm to Market Road 3036. For months after Harvey rocked Aransas County’s beachfront communities, dozens of displaced families camped here, at what’s officially known as the Rockport Relief Camp on the north end of town. That number is now down to about a dozen people. But the camp remains the staging ground for donated items — from clothes and blankets to diapers and baby formula — that routinely get matched with residents who lost virtually everything they own. “There are so many people in Rockport right now living in one room because that's the place where the roof doesn’t leak quite as bad,” said Sam McCrary, who owns the land on which the camp sits. The 46-year-old’s catering and event business in town, the Mermaid Kitchen, was destroyed by the storm. But the house she bought just months earlier sustained little more than shingle damage. McCrary received updates about her town’s extensive damage as she sheltered in Nacogdoches and decided to turn her land into the town’s lifeline. “I contacted everybody I knew and said, ‘Hey, this is what I’m going to do, send me some money,’” she said this week. After raising $5,000 in 24 hours, McCrary returned home three days after the hurricane came ashore with a travel trailer packed with bottled water, food, chainsaws and shovels — “Anything we could think of that we knew people were going to need immediately,” she said. Within days, McCrary was serving meals to hundreds of people a day. She estimates the number of people stopping by for meals peaked at about 1,100 at one point. Before too long, people were encouraging her to run for mayor. She thought about it. Then she thought again. When a natural disaster strikes anywhere in the United States, the three federal agencies that primarily oversee and distribute housing recovery money are the Small Business Administration, the U.S. Department of Housing and Urban Development and FEMA. The SBA provides homeowners low-interest loans of up to $240,000 to repair damaged homes and replace destroyed personal property and vehicles. That agency approved more than $1 billion worth of loans in the first two months after Harvey. HUD oversees long-term recovery efforts that include replacing destroyed homes and rebuilding damaged roads and government buildings. So far, Texas is set to receive $5 billion in HUD disaster relief aid. It will also receive a still-undetermined cut of $90 billion in disaster relief that Congress approved earlier this month, to be split between states and territories impacted by hurricanes and wildfires last year. FEMA’s chief goal has traditionally been to provide short-term relief, including everything from hotel rooms and money for minor home repairs to trailers where people can live until they receive government grants or save enough to rebuild on their own. Turning that job over to the Texas General Land Office required state staffers to get a crash course on FEMA procedures and regulations. Then the GLO had to negotiate contracts with a host of entities, from FEMA itself to local governments to individual contractors who would start repairing homes with minor damage. It’s unclear how much the ramp-up period delayed getting Harvey victims into trailers, mobile homes or apartments — or how the number of Texans currently living in or waiting for short-term housing compares to the six-month anniversary numbers of previous storms. 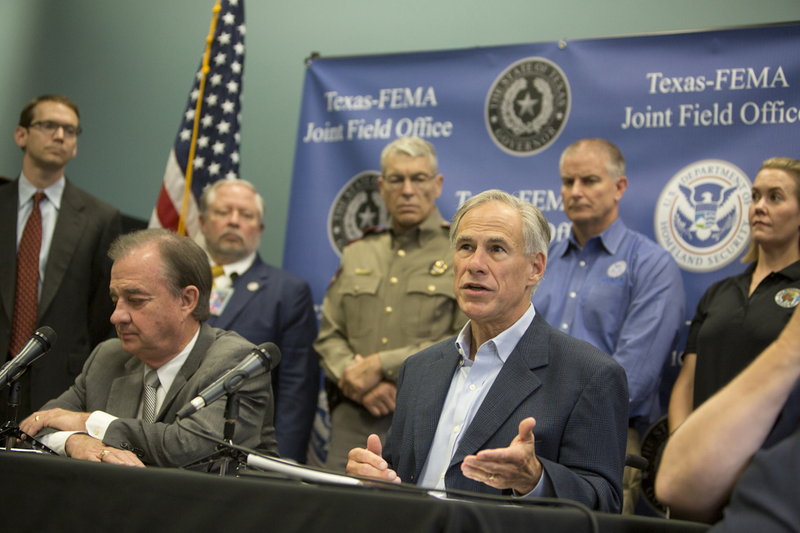 As thousands of Texas families remain displaced, the GLO is already working on a new disaster response handbook Abbott and Bush have promised. But the history of American disaster response is littered with unheeded recommendations. Some best practices that grew from previous storms — including a recommendation to have government partnerships and vendor contracts in place before a disaster strikes — have not been followed for Harvey. “It seems like every event there are lessons to be learned, and then we relearn them after each event,” said Brittany Eck, a spokeswoman for the GLO. Local officials across the battered Coastal Bend have fiercely criticized the Harvey response plan, which they blame for months-long delays in helping their displaced residents. But their ire isn’t aimed at Abbott or the GLO. Instead, it’s virtually all focused on FEMA. “They may have very well set you up to fail,” Bujan, the Port Aransas mayor, told lawmakers in December. In Port Aransas, Gallegos, who lives and works at the Marina Beach RV Park, can rattle off myriad hurdles she and her neighbors have faced in getting federal or charitable aid after Harvey tore through this Gulf Coast beach town. Even using a maiden name instead of a married name on paperwork can gum up the process, she said. “It’s pretty desperate down here,” Gallegos said. 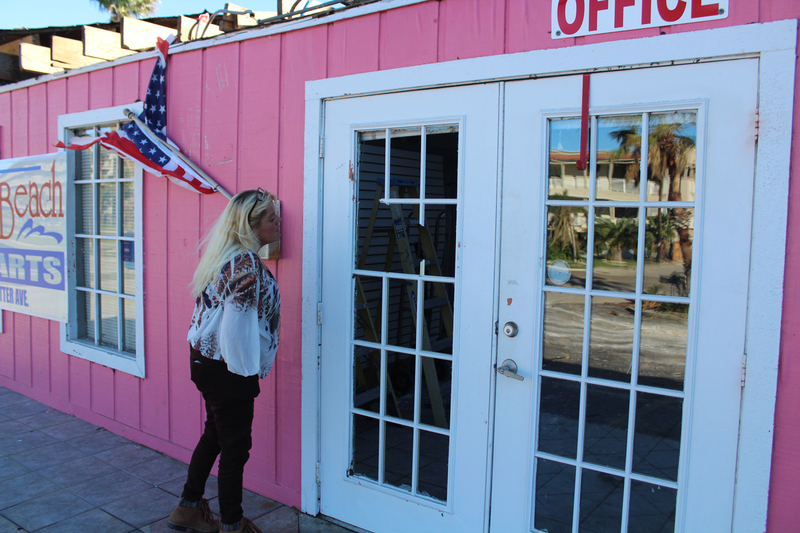 After being turned down for Red Cross assistance and an SBA loan, Gallegos was still waiting to hear about her FEMA application more than three months after the eye of the hurricane slammed into nearby Rockport. Gallegos said she had to justify to the agency why her mailing address was a post office box. And even after she explained, six weeks passed with no apparent progress on her application. Harvey shredded Gallegos’ mobile home, which her family bought after selling their house in San Antonio so they could live full time in their favorite vacation spot. 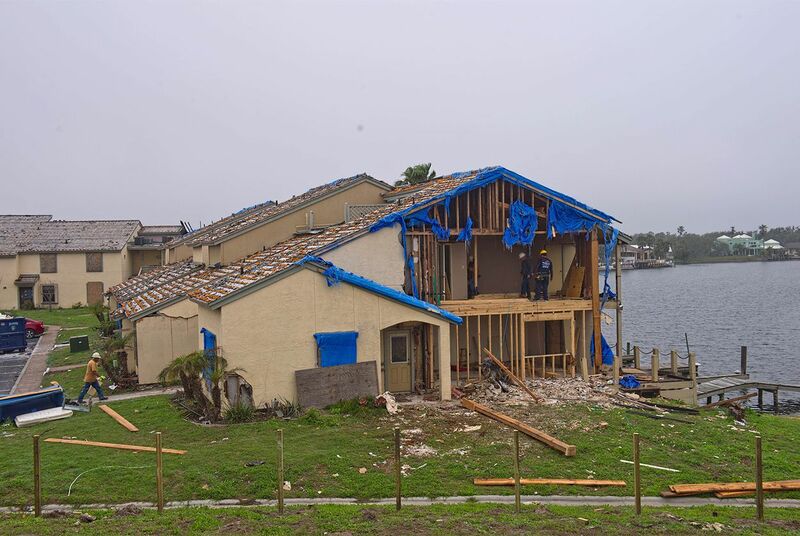 Gallegos said she received just enough insurance money to pay off the outstanding debt on the destroyed home, but not enough to make a down payment on a replacement. Luckily, she said, a local nonprofit named Homes for Displaced Marlins gave her family $5,000 for a new mobile home. The charity was formed after Harvey and originally aimed to raise $400,000 to buy mobile homes for 20 families. By early this month, it had raised almost $1 million and helped 48 families. With her family in a new home, Gallegos’ worry turned to the rest of the town. The storm shuttered so many businesses that many of her friends no longer have jobs. Others didn’t have homes. Many had already scattered to start new lives in places from North Texas to California. “It’s like you’re trying to run a tourist vacation town on 10 percent, if that,” Gallegos said. But even with demolition crews tearing down damaged restaurants and hotels empty except for construction workers, Gallegos said she and her family are staying. “You can’t just walk away from a whole town,” she said. State and federal officials have said it for months: For the recovery to succeed, it’s going to have to be locally driven. But up and down the Texas coast, mayors and county commissioners from the hardest-hit areas have repeatedly complained to state lawmakers about not having access to FEMA data that would tell them how many homes in their towns were damaged and how many people have been given or denied federal assistance. Due to federal privacy law, FEMA typically won’t provide certain data to other agencies until their employees obtain a certain level of security clearance. And many small communities that bore the brunt of Harvey’s winds don’t have technology sophisticated enough to store and protect so much sensitive information — or the resources needed to quantify and track the kind of extensive damage Harvey unleashed. “A local little city like ourselves, you don’t have that expertise,” said Bujan, the Port Aransas mayor. Meanwhile, the GLO’s agreement with FEMA prevents state employees from sharing the data that local leaders are requesting. “We can’t exactly share the criteria by which applicants are being declined,” Bush, the land commissioner, told lawmakers when asked why hundreds of thousands of families had been denied assistance. While Bush’s agency can’t share the reasons why, it knows how many people in each community have been denied short-term aid, and that will help local leaders quantify how much money they’ll need from HUD’s long-term recovery grants, said Eck, the GLO spokeswoman. “So that is information that, if we were not involved in this process, we would not have,” Eck said. The lack of data hasn’t been local officials’ only source of frustration. At state legislative hearings, public events and in interviews, they have portrayed the FEMA aid application process as confusing to people already living with the stress of displacement and property loss. San Patricio County Judge Terry Simpson told state lawmakers in November that turnover among FEMA staffers compounds the confusion. “The faces keep changing, and when you get a new face, you’re going to get something different,” he said. GLO staffers began recognizing slowdowns in the disaster aid process as they learned about and implemented FEMA’s short-term housing programs, Eck said. For example, one housing repair program’s damage threshold was preventing many Harvey victims from qualifying, and Eck said the the agency successfully got the threshold lowered so more people would qualify. Other hurdles haven’t been as easy to overcome. Eck said helping renters has proven difficult because they don’t qualify for mobile homes (since they don’t own property on which to put them) and local landlords have resisted offering apartments to displaced people because one of the federal programs prohibits them from running background checks on applicants. “We found it was not a popular option,” she said. Mario and Rosemary Zamorano are glad to be back in Rockport after Harvey forced them away, though they don’t want to be living in a mobile home. But after the estimate to tear down their place came in between $8,000 and $16,000 — it’s a total loss because of extensive roof and water damage — they didn’t even try to figure out the cost of actually rebuilding. “When you start throwing around numbers like that, it’s overwhelming,” said Rosemary Zamorano, a 36-year-old mother of five. Their plan now is to have Mario Zamorano, who works in construction, tear down what he can when he’s not taking other jobs helping neighbors rebuild their own homes, then hope to save enough to rebuild. It could be months or years before Texans like the Zamoranos know if they qualify for long-term housing grants. After months of living with relatives in Corpus Christi, they were among the first families in Texas to receive a mobile home through a short-term housing program that the General Land Office is overseeing. Shortly after, they got a visit from Melania Trump, Karen Pence and a bevy of government officials and reporters who toured the Coastal Bend’s devastation. Rosemary Zamorano wasn’t excited about hosting the horde of officials, but she hoped it would bring attention to the ongoing plight of the town and their neighbors who are still waiting for assistance. “We’re grateful and thankful because we’re home now in a warm place, but what about all the other people who haven’t for whatever reason been able to get the help they need?” Rosemary Zamorano said. Earlier this month, Rockport celebrated a major milestone: the 500th reopening of a business that closed after Harvey. That leaves about 800 establishments still closed. But business leaders are pushing to get 500 more businesses up and running before the end of the summer tourism season. 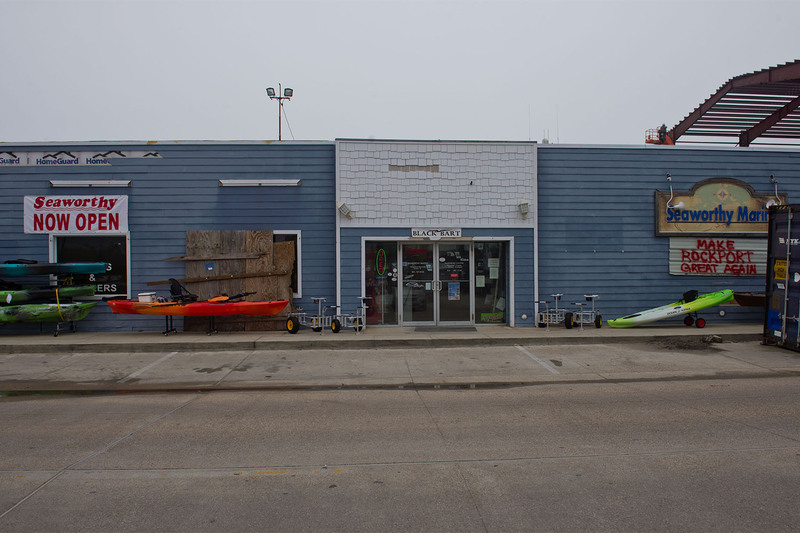 This season, they’re promoting Rockport as a place where visitors can enjoy the beach and help fellow Texans muck out houses and hang drywall in shuttered stores. They call it voluntourism. McCrary, who started the relief camp, is now getting her land ready to host church groups and Boy Scout troops who plan to visit the town this summer and help with the recovery. "If everybody did that, just think how much better the world would be," she said. Up and down the coast, optimism is growing as more open and businesses come back in time for the tourists. Still, it could be years before life looks like it did before Harvey.